Simply beautiful. Like the day. 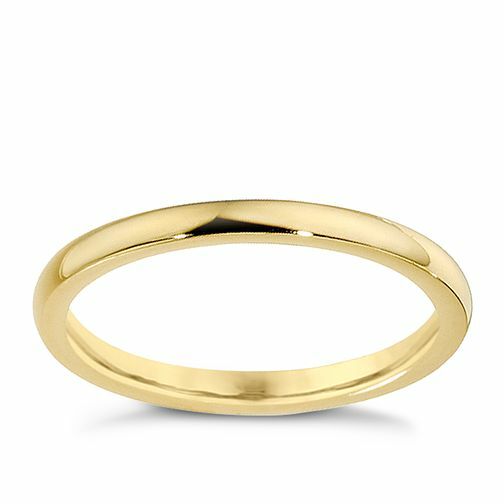 This plain 18ct yellow gold, super heavy wedding band, makes a simple loving statement. 2mm. 18ct yellow gold 2mm super heavyweight court ring is rated 4.0 out of 5 by 1. Rated 4 out of 5 by Anonymous from Very comfortable and easy to wear This ring is a replacement for a D profile ring that I found quite uncomfortable to wear and tricky to get on and off. This court ring (sometimes known as comfort fit) looks much nicer on my finger than the D profile ring did and it's so comfortable I forget I'm wearing it.